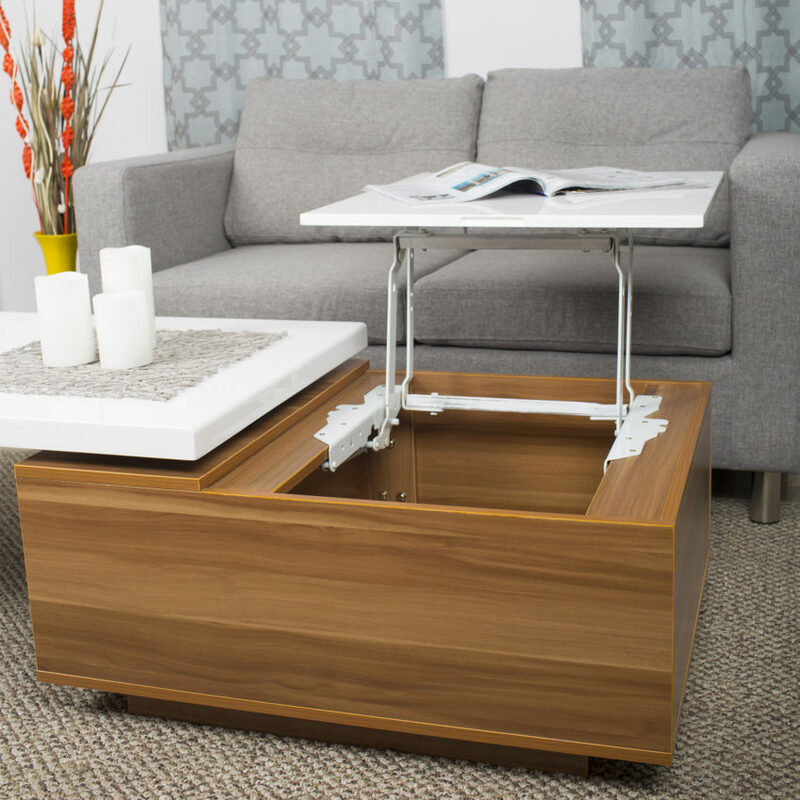 This stunning table artfully conceals a convenient compartment, accessed by removing a handy serving tray or lifting the tabletop. 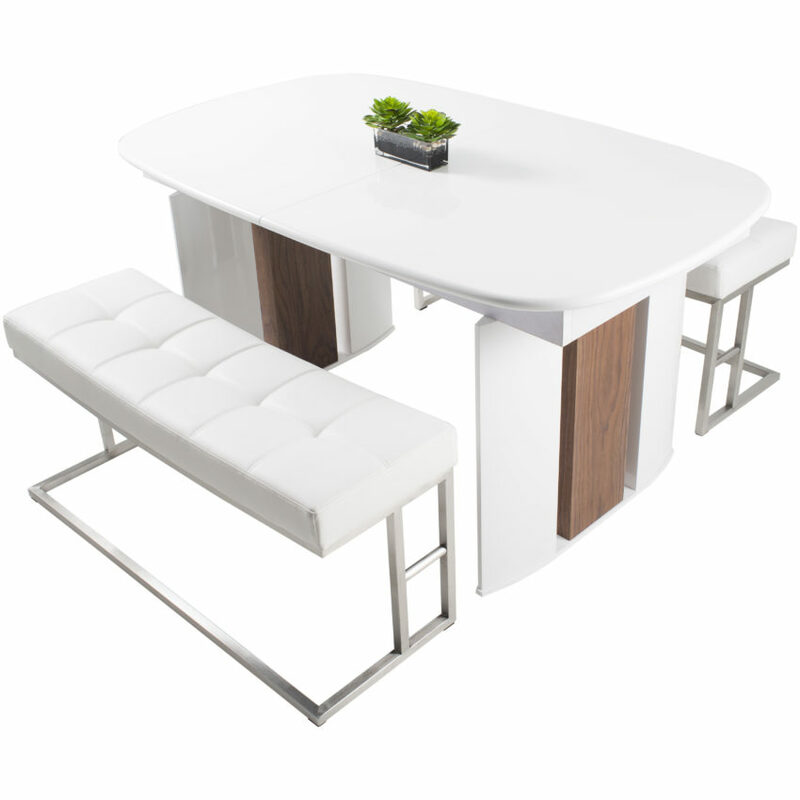 It is a clean, effortlessly designed piece that blends a variety of textures and finishes. Avoid placing your furniture in direct sunlight and maintain at least two feet between furniture and heat sources. Lift and place objects rather than dragging them across the furniture surface otherwise scratches may occur. Do not place any high-temperature items directly on the wood top. Use coasters or place mats to prevent damage to the high-gloss or melamine veneer finish. To clean the metal parts, use a Stainless-Steel cleaner on the regular basis especially in areas of high humidity otherwise rusting or squeaking may occur. Use wood cleaner on the melamine veneer parts. To clean the high gloss parts use a damp cloth then polish to a shine with a dry cloth Do not use power tools to assemble this product.